MOZAIK is Andy's baby, and it's blossomed into one precocious toddler in the past five years. It's the multicultural equivalent of Planxty. 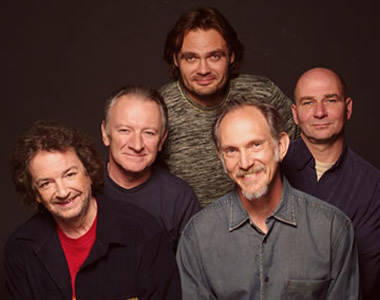 Bronx fiddler and banjo player Bruce Molsky brings the Appalachian tunes, Dónal Lunny is the unquestionable percussive powerhouse of the gathering, on bouzouki, guitar and bodhrán. Bulgarian musical polymath Nikola Parov brings all manner of exotic instrumentation to the mix (including gadulka, gaida, kaval, tin-whistle, clarinet and guitar), and Rens van der Zalm squares the circle with fiddle, mandolin and guitar - and a quintessential Dutch attention to forensic detail in his melody lines. Nikola's brilliant video of the recent Mozaik tour. What a happy band we are! 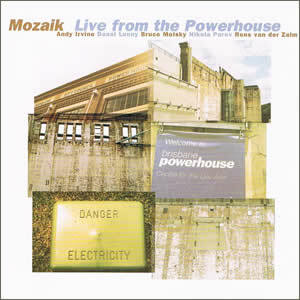 Recorded live over two shows at The Powerhouse, Brisbane, Australia, 30/31 March 2002.